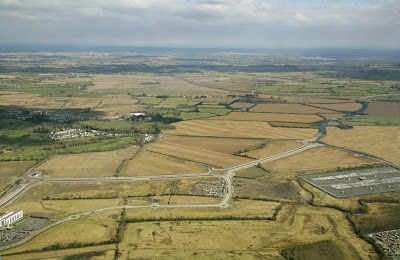 Work will start shortly on the final stage of the N2-N3 link road between Tyrrelstown and the Cherryhound interchange. Local TD and Minister for Transport, Tourism & Sport Leo Varadkar has announced his Department will allocate €6 million in funding for the project this week. This funding represents a major breakthrough as the road has been planned for years, but was never progressed due to a lack of finance. This is a major breakthrough for the transport network in Dublin West, as the road will provide a crucial link between the N2 and the N3. 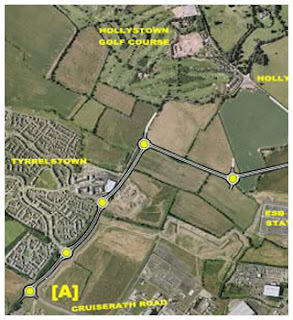 It will relieve traffic on the N3 and provide better access to business parks and residential areas such as Hollystown and Tyrrelstown and open up new industrial lands in North Blanchardstown for job creation. The total cost of the project is €24 million but some €15 million will be recovered from levies imposed on land owners and developers. 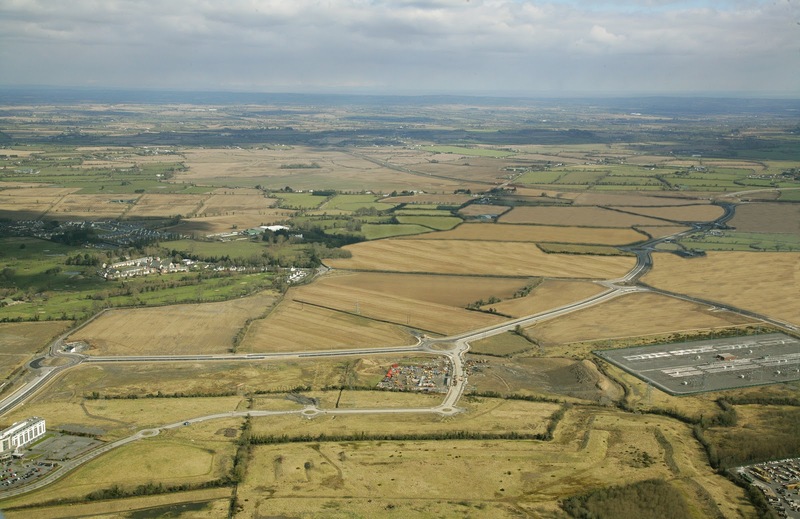 The new road will eventually form part of an outer ring route from the Naas road to the M1 north of the airport. I have campaigned for funding for this project since the local elections in 2009 and raised it at council meetings many times since which is why I’m delighted that Minister Varadkar has given approval. The new road is essential to provide a second access to the new primary school campus at Tyrrelstown. A major retail park, One Five West, beside the Park Plaza Hotel at Tyrrelstown was granted planning permission conditional on this new road. In 2009 the planners rejected the proposed Snowtopia leisure project at the same location citing the lack of road infrastructure as one of the reasons. Work will begin in September as planning permission is already in place, and the council has already approved a contractor. 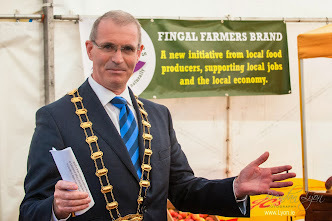 The Department of Transport has made the €6 million available to Fingal County Council on condition that it’s spent this year. The funding is being diverted from another road project which has stalled. The landowners have already transferred the lands to the council free of charge.